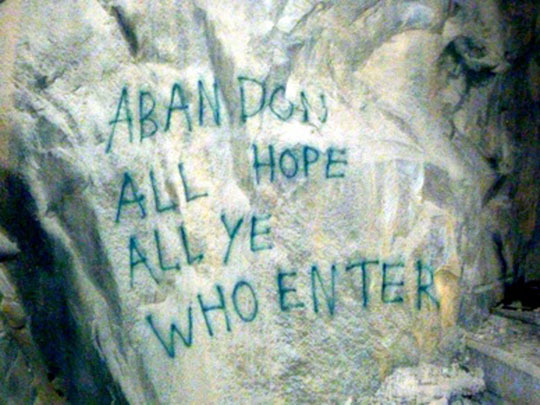 Cheery graffiti greets those who visit the abandoned snow sheds above Donner Lake. The saying comes from the 1814 translation of Dante's Divine Comedy. You will be given a random number generated by the computer to protect your privacy so you may check your grades. Please see me if you have any questions on your grades.